Are you facing challenges to attract, qualify and hire high-quality candidates as quickly and efficiently as your business needs? Do you struggle to know where to start making the most impactful changes? Sales and marketing use pipeline analytics to focus efforts on finding quality leads and ultimately closing deals. Pipeline analytics give visibility into each step of the sales process - quickly identifying where there are hurdles/opportunities in finding, qualifying and converting quality prospects into loyal customers. Your candidate data can give visibility into what’s working or not working with your hiring process. This valuable insight can help focus your acquisition strategy and your team. Sales and marketing teams often struggle to find and progress a pipeline of prospective customers from initial interactions to deal close. They face a constant balancing act to drive both volume and quality from leads. Sound familiar? Take a page from the sales & marketing playbook Consider taking a similar approach with the candidate process. 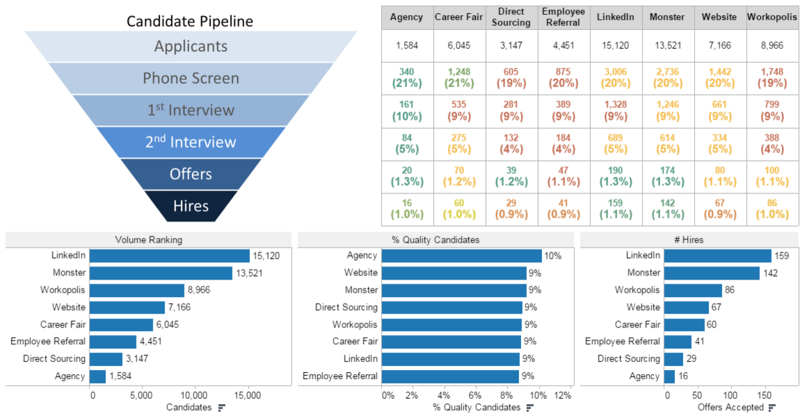 Candidate Pipeline Analytics can provide insight into volume and conversion rates from initial candidate identification through to offers accepted. Your ability to attract high-quality candidates: By analyzing volumes and the conversion rates of the number of initial candidates compared to the number of candidates that have progressed to each of the hiring stages, you can understand if you are attracting enough high-quality candidates to meet your business needs. Where you are hitting challenges in progressing candidates: Analyzing volume and conversion rates between each of the stages will let you know where candidates are dropping off in the process. “Are we getting the expected quality candidate pool from the new recruiting source we just invested in? By looking at data contextually, based on business needs, areas of focus become crystal clear. 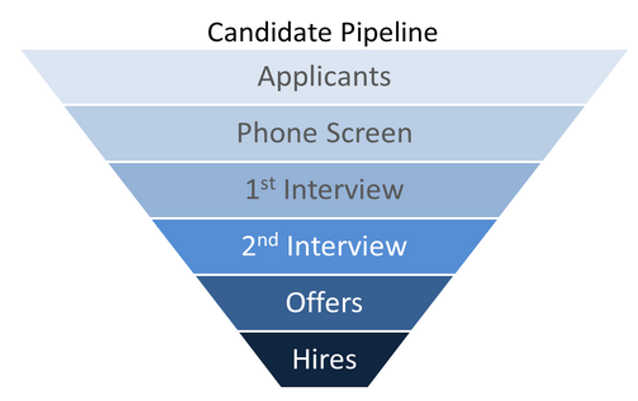 With insight into your candidate pipeline, you are armed with actions to address the challenges in your recruiting process. You are also provided the analytics to support the conversations with the business – with hiring managers on the candidate criteria, and with executives on needed investment to support your talent acquisition strategy.